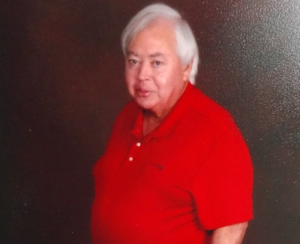 Obituary for Ernest McKinley Martin | Thompson Funeral Home, Inc.
Mr. Ernest McKinley Martin, 68, of Cordova passed away on Friday, February 1, 2019. Funeral services will be held at 3:00 P.M. on Sunday, February 3, 2019 at Thompson Funeral Home Chapel in Orangeburg. Rev. Walter Pym will be officiating. Burial will follow at South End Cemetery in Bamberg, S.C.
A visitation will be held from 6:00-8:00 P.M. on Saturday, February 2, 2019 at Thompson Funeral Home, Inc.
Pallbearers will be Al Fauling, Gus Files, Jeffery Stroman, Charles Wannamaker, Skye Foster and Wesley Brown. Honorary Pallbearer will be James Hawkins. Mr. Martin was born on October 1, 1950 in Orangeburg, S.C. He was the son of the late George Martin and the late Ethel Gray Martin. He was retired from Martin’s Auto Electric. He was predeceased by a sister, Joyce Ann “Susie” Ryan and a brother, Harold Dean Martin. Survivors include his wife of 46 years, Geraldine Padgett Martin; brothers, William “Dubby” Martin of Orangeburg, Mike Martin (Brenda) of Orangeburg, Mackie Martin of Neeses; niece, Robin Rowell (Mark); nephew, Eric Ryan (Gwen) and a special pet, Angel.